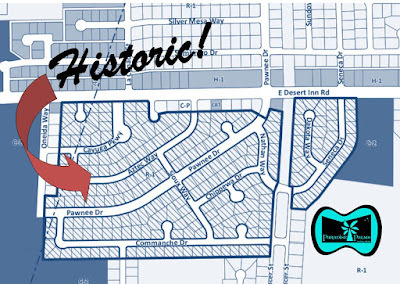 On Wednesday, February 8, 2017 the Clark County Commission unanimously voted to establish Paradise Palms as the first historic neighborhood in unincorporated Clark County. Taking advantage of the County’s Historic Neighborhood Overlay Ordinance which was adopted in November 2011, the Paradise Palms Historic Neighborhood Overlay District was adopted as a zone-change and affects just over 200 homes within the original portion of the community. County Commissioner Chris Giunchigliani praised the community for its efforts and persistence in reaching this milestone, while each Commissioner weighed in on this historic precedent offering advice and suggestions for the community moving forward. Commissioner Giunchigliani made a motion for approval of the zone change request, and was unanimously supported by all members of the Commission. This new Historic Neighbohood Overlay only applies to a portion of our community at this point, roughly bounded by Desert Inn Road to the north, Spencer Street/Seneca Drive to the east, Commanche Drive to the south, and Oneida/Nakona to the west. Future expansions are planned. Approximately two years after the ordinance was adopted, Paradise Palms began working with the Nevada Preservation Foundation (NPF) in early 2014 to obtain assistance and guidance in navigating the Historic Designation process. 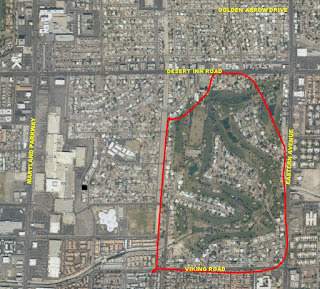 While there are approximately 1,000 homes within Paradise Palms, reaching consensus with that amount of property owners would prove difficult, and the community was advised to begin seeking Historic Designation in smaller sections to ease the process. After review, it was determined that the oldest portions of the neighborhood would make the most sense to start with for the Historic Designation process. 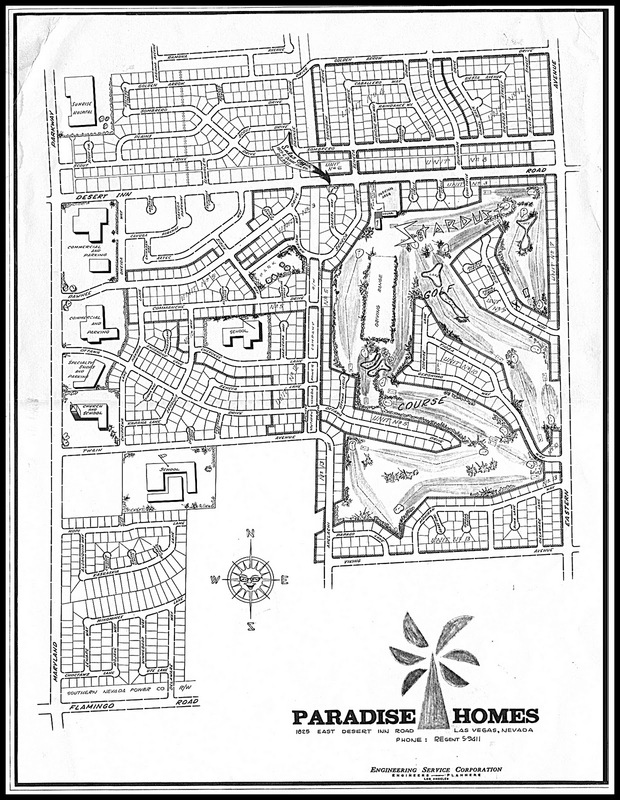 NPF worked with Paradise Palms to organize numerous community meetings, send out mailings and arrange for neighborhood canvasses within the approximate 200-home area. They held several successful fundraisers and solicited donations on the community’s behalf so that we could reach this point. With NPF’s help, there were countless numbers of volunteers who assisted, supported and led to this preservation effort. 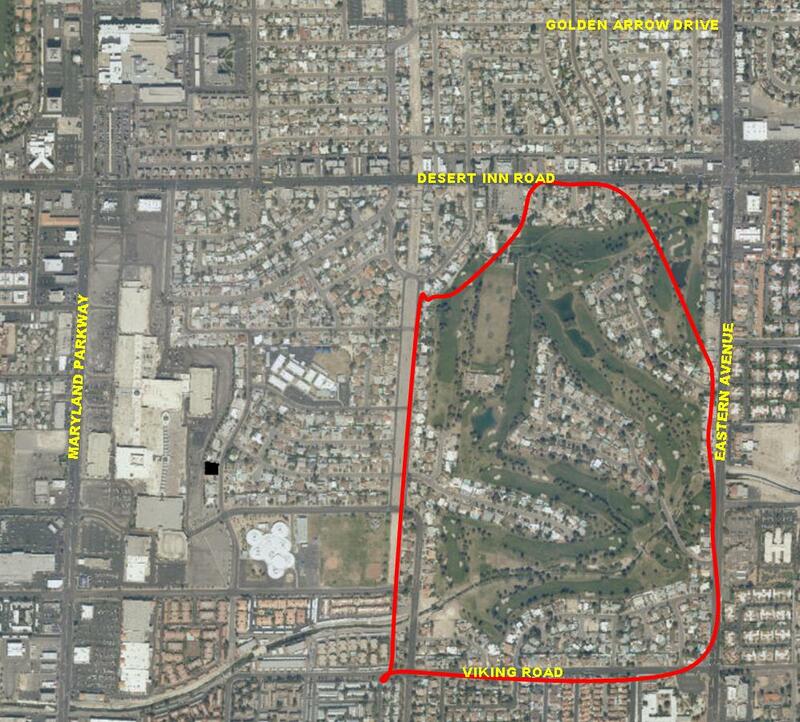 With the overwhelming support that this portion of the community received for recognition as a Historic Neighborhood, NPF and Paradise Palms will build on this momentum and begin polling the residents to the east of this area, roughly bounded by Desert Inn Road to the north, Eastern Avenue to the east, Viking Road to the south, and Spencer Street to the west to determine interest in receiving Historic Neighborhood status. Kicking off this event will be a Preserving Paradise Palms cocktail fundraiser on Friday, April 28th at the Historic Westside School. More details can be found by visiting NPF’s Home & History webpage here. We're excited to have reached this historic milestone and proud to have become the first neighborhood in unincorporated Clark County to receive this honor. Thank you everyone for your support. Why is the block of homes that is bounded by the streets of Cherokee,Algonquin Spenser and Twain not included? It will be in a future phase - this is the first go at things, and the plan is to eventually include the entire neighborhood.